As Tall Tales enters its final week, we are experiencing very mixed feelings: thrilled that the show has had such a fantastic response, but equally saddened that this will be Hand Held Gallery's very last exhibition. Although I've been regularly popping into the gallery, Megan tells me that a lot of visitors to the show have been disappointed not to see me there. I'm very sorry to have missed you. To try and make up for it, I'll be in the gallery on the final day, Saturday, July 6, between 2.30 and 5 pm. Your invitation (not that you need one!) is above. If you are free, we'd love you to join us. For those countless others who are sad to be losing this unique gallery, find about about Megan's post-Hand Held plans HERE. 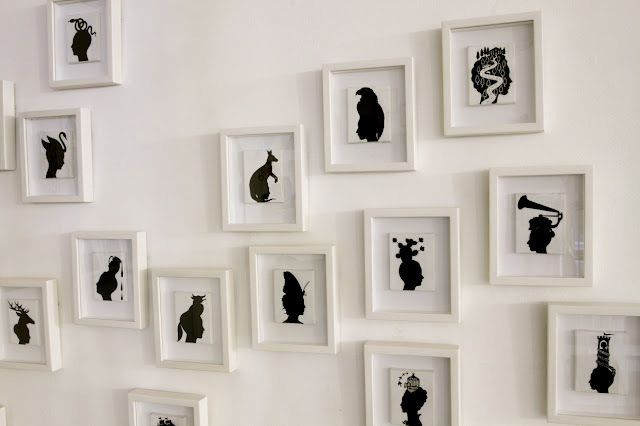 Megan Herring of Hand Held Gallery told me that on the opening night of Tall Tales many people were taken with this miniature silhouette, apparently amused by the way it paralleled the veritable tempest that was raging outside at the time. (As the cliché beloved of hoary old melodramas goes, it was a dark and stormy night). On Wednesday afternoon Tim Gresham took some installation views of the exhibition. He also photographed this work, which had somehow slipped through the net when he documented the rest of the series prior to the show. Tim promised to email me the images later that afternoon. In fact, they were waiting for me when I got home. It was then that I first learned of the extraordinary political upheaval that was taking place. As we know all too well, it resulted in the disgraceful ousting of our Prime Minister Julia Gillard. Viewed in this context, the painting now seems to be about an entirely different kind of tempest. But this storm won't blow over so readily. And this time there is nothing to be amused about. Tall Tales is now very much up and running. We've already had an impressive number of visitors, including groups of secondary and university students. The artist book The Maiden Flight (below, third from left) has been acquired by the University of Melbourne's Baillieu Library, Tree House (below, sixth from right) was acquired by the State Library of Victoria and the State Library of Queensland has acquired Eve's Apple (pictured fourth from right). In addition, the State Library of Victoria and Baillieu Library have each acquired a copy of the limited edition mini-zine Card Sharps for their permanent collections. 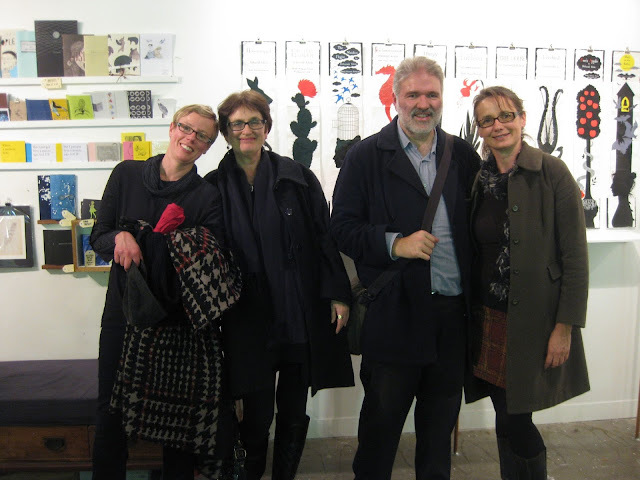 For more about the exhibition, visit Moth Woman Press HERE. Amongst the lively crowd on the opening night of Tall Tales were a great number of old friends, many of whom I hadn’t seen in far too long. But we forgot to get the camera out until just before the gallery lights went out and the doors were locked. A handful of loyal, patient souls (not all of them shown here) stuck it out until the very end. It was great to catch up properly with most of them afterwards at that marvellous time-honoured Melbourne institution, the Waiter’s Restaurant. If the quality of the snapshot above isn’t as good as it could be it’s because Tim Gresham, who usually photographs my artwork, didn’t take it - he’s in it. 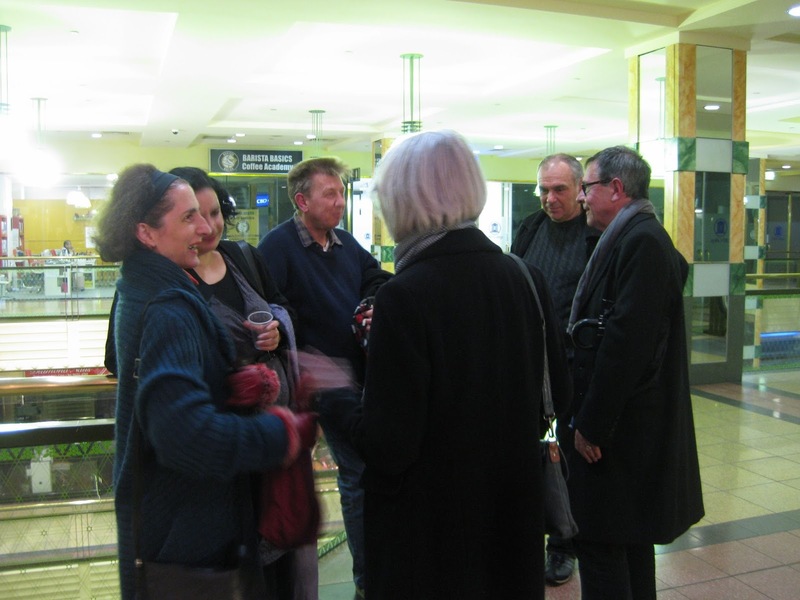 Pictured from left: Julia Boros, me, Tim Gresham and Gaye Britt. It was quite extraordinary watching Hand Held Gallery Director Megan Herring hang the Tall Tales exhibition. Never in my exhibiting history have I known an exhibition hang to come together so smoothly. Now, after a marvellously buzzy and crowded opening night on Thursday, June 13, Tall Tales is up and running. Pictured below are some snapshots of the installation in progress. For more detailed information about the exhibition visit Moth Woman Press HERE. 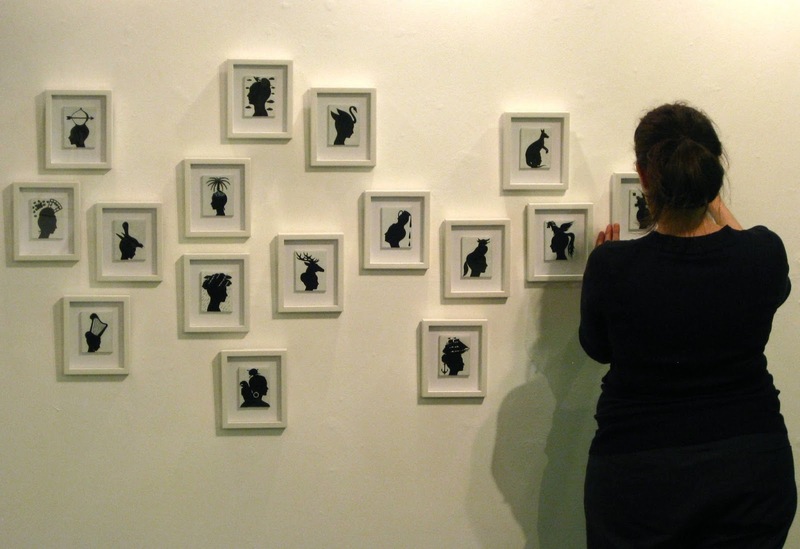 Miniature silhouettes: installation in progress. With Megan Herring. 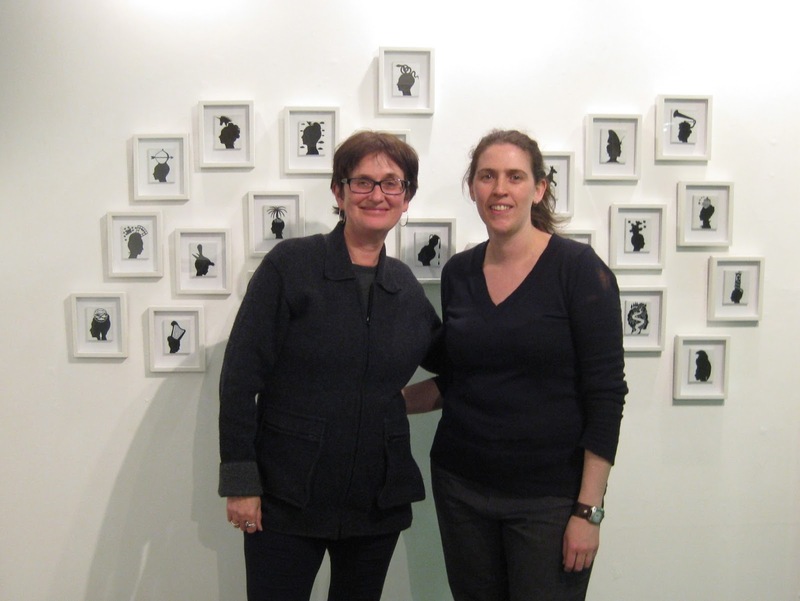 A very happy DK pictured with Megan Herring directly after the installation of the miniature silhouettes. Photograph by Shane Jones. Earlier today I collected the miniature silhouette paintings for Tall Tales from the framers. The books have been bound, the invitations sent. On Sunday evening we will hang the show. It's sad to think that my first solo exhibition at Hand Held Gallery will be their last. 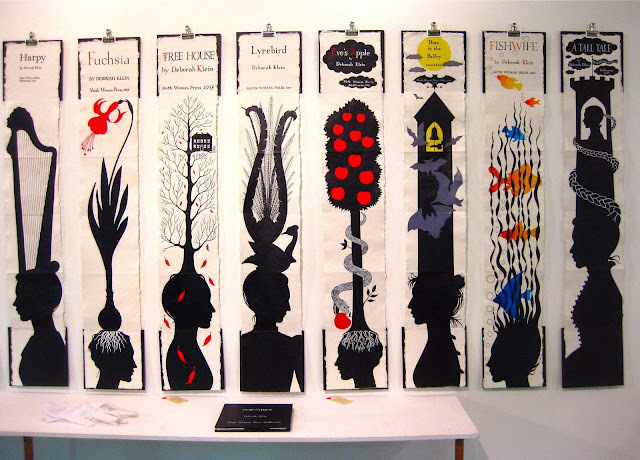 I've been exhibiting my books there since 2009, when they took some copies of There was once...The collected Fairy Tales soon after it was published. I bought my very first zines from Hand Held, including several by its Director Megan Herring. Not long afterwards I began making some of my own, beginning with A Short Book about Long Hair. Other zines soon followed. I've been making them ever since and have sold them exclusively through the gallery. It's fair to say that I owe this facet of my work, which gives me such satisfaction and pleasure, entirely to the creative association I've had with Hand Held Gallery. To mark the occasion of the gallery's final show, I'm making a small limited edition zine called Card Sharps. The artwork is now complete. All that remains is for it to be photocopied, cut, folded, signed and numbered. A detail is pictured above. When the zine is folded, these images will appear on its back and front covers. 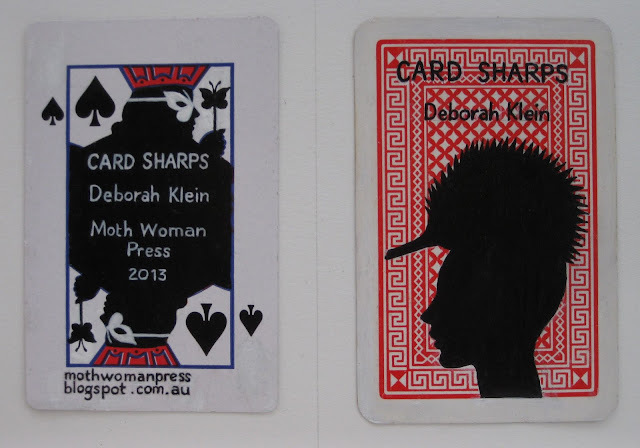 For more about Card Sharps, visit Moth Woman Press HERE. In 2011 a longtime dream of mine was fulfilled when I visited Berlin for the first time with my partner Shane Jones. We stayed in historic Charlottenburg, which, unlike many other parts of Berlin, wasn’t completely obliterated by air raids in World War II. But it was far from unscathed. In the 1920s the Kurfürstendamm area of Charlottenburg was a magnet for artists, writers, musicians and composers, including Otto Dix, Alfred Döblin, Gottfried Benn, Else Lasker-Schüler, Bertolt Brecht, Max Liebermann, Stefan Zweig and Friedrich Hollaender. This came to a tragic and untimely end, however, with the rise of the Nazi Party. 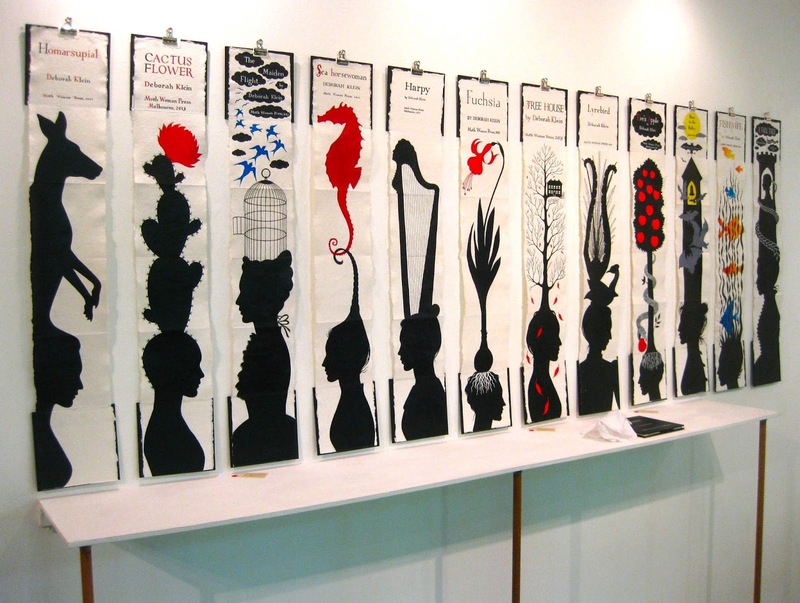 It was only after I returned to Australia and started focusing on her work more fully, that I discovered that Chalottenburg was also the birthplace of animation pioneer Lotte Reiniger (1889-1981). From late last night into the early hours of this morning I sat at the computer sourcing online images and stills from Reiniger’s films. 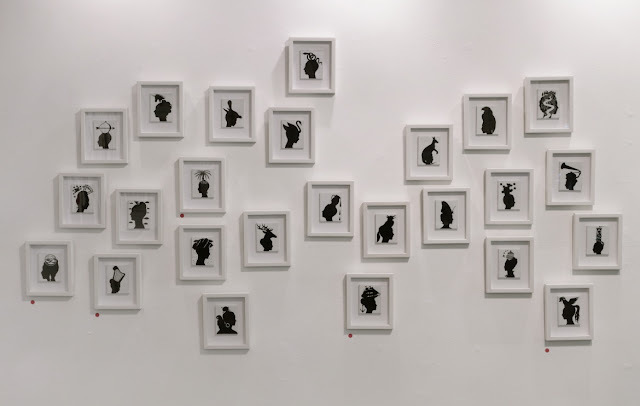 As regular visitors to this blog will be aware, it was her silhouette animations, in particular her masterpiece The Adventures of Prince Achmed (1922) that were the point of departure for my own silhouette imagery. With a forthcoming show that showcases this new direction in my work, it seemed timely to revisit her work here. I’m not sure what time it was – perhaps 1.30 or 2 am – before I also noticed that today is actually the anniversary of Reiniger’s birthday, making this post doubly significent. 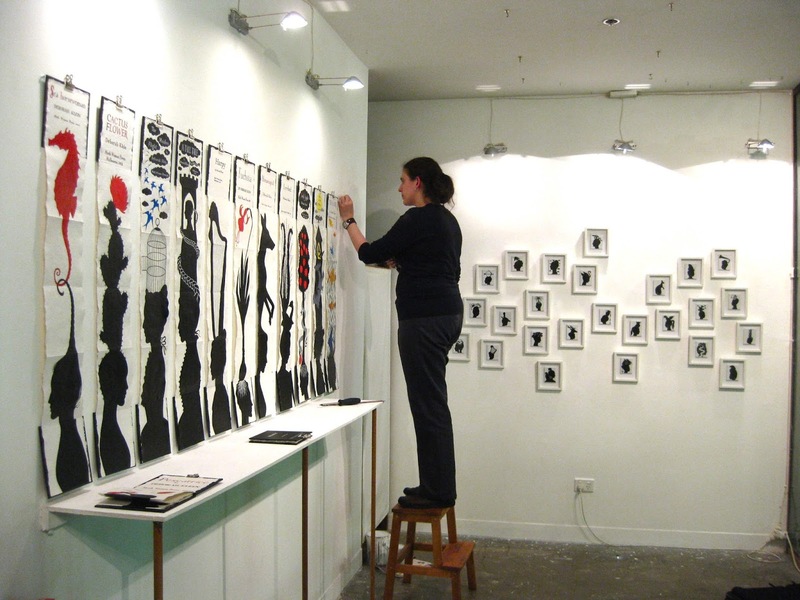 To learn more about Lotte Reiniger and her extraordinary achievements, click HERE. To see some of Reiniger's shadow puppets, see Happy Birthday, Lotte Reiniger, Part 2 on Moth Woman Press HERE. The restored version of The Adventures of Prince Achmed debuted at the Cannes Film Festival in 2007. The poster and a series of stills from the film are pictured below.